Michel de Bustros, owner and founder of Chateau Kefraya Wine Industries, has retained his roots in Lebanon throughout his lifetime. 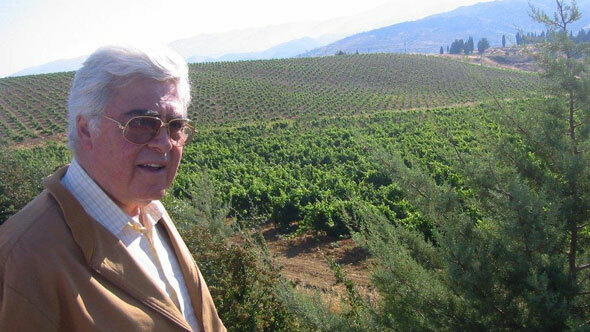 Born in Beirut in 1929, he has proven himself as quite the successful businessman in the wine industry with the company that he oversees in Lebanon. The vineyard, located in the heart of Lebanon in Bekaa Valley, sells wine to a global market that includes 35 countries. It has won over 200 medals for its exquisite wine in its 28 years of existence. Chateau Kefraya sells red, white and rosé wines that they then classify into one of four different categories. Despite their numerous wines, they are most famous for "Le Comte de M". The wine industry is one of the few trades that emerged successfully from the faltering Lebanese economy and business world. It overcame heavy market collapses, a devastating war, and the demolition of many vineyards. Amidst the industry's success, de Bustros' company is one of the leading wine producers and produces two million bottles of wine per year. Before this widespread success, de Bustros received an extensive education. 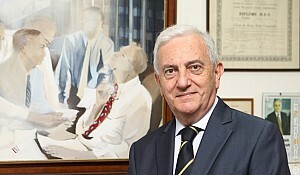 Over his academic career, he received three degrees from La Sagesse College, St. Joseph University of Beirut, and the Higher School of Letters. These degrees include an LL.B., his Bachelor's in History, and his Bachelor's of Political Science. Michel married his former wife Rose Fakoury in 1959 when he was 30 years old and the couple raised four children together. 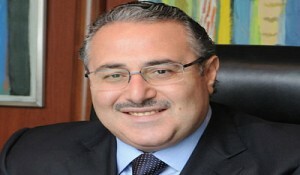 In addition to these companies, de Bustros also served as the former director in the Lebanese National Tourist Board. In addition to the winery, he owns his own restaurant "Le Relais Dionysos". De Bustros is a member of Chevalier du Tastevin, which can be translated to read in English as "Brotherhood of Knights of Wine-Tasting Cups". He also belongs to Commandeur de Bordeaux. The former group promotes Burgundy wines and the latter encourages Bordeaux wines. Furthermore, de Bustros belongs to Compagnie des mousquetaires d'Armagnac. A description of the company from the official website reads, "A Musketeer of Armagnac is a person of his or her own time who, whilst always prepared to fully participate in the modern way of life, always maintains a respect for traditional values. This is what the Company of Musketeers stands for, and it is for this reason that more and more candidates wish to join the Company." De Bustros embodies this depiction. He started producing wine in 1979 and continues to enjoy his work in the industry at 83 years of age. His hard work and passions paid off; Chateau Kefraya is now the second-largest wine producer in Lebanon. 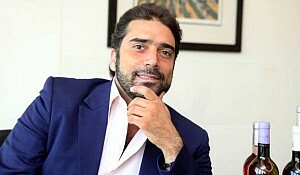 Outside of his professional life, de Bustros enjoys the opera, reading, and music-sophisticated pastimes that are indicative of the elegance he exudes both in his personal life and in the business world. His pastimes affect his work; Chateau Kefraya runs on 10,000 acres of land with six parks, each lawn named after a particular operatic composer. "Art and wine, all sorts of art, are really linked," de Bustros said. "Blending grapes is an art. A mono-varietal is not an art -- you just make the wine, fill it in bottles and that's all, you didn't give something to it from your soul."